Anyway, here we will take on the task of sharing ideas with you keen investors on the concept of 'core-satellite' investment portfolios, how to approach it, what to watch out for and ultimately outline the pros and cons of this particular approach. Lovely-jubbly. Core Satellite investment in Ireland will never be the same again!! Ultimately this approach aims to blend the 'best of both worlds', by combining both Passive and Active strategies into the one portfolio. There has been long term debate over which strategy is best for investors. A recent well documented event was Warren Buffet winning a 10 year, 1-million dollar bet with a hedge fund manager that a passive fund would beat an actively managed hedge-fund over 10 years from 2008. To date the passive fund has delivered over 7% while the hedge fund has delivered just over 2%........it was a land-slide. Yet there are periods where an active fund manager has outperformed passive and indeed been able to reduce volatility levels at certain times and in certain markets. Find out a little more about active strategy in our hugely popular interview with Will Spark here. If you are into Financial Planning and want to be more mindful in your investments then the idea of investing with a particular investment philosophy and plan is a must....otherwise it is purely investing for the sake of it...and that usually doesn't end well! 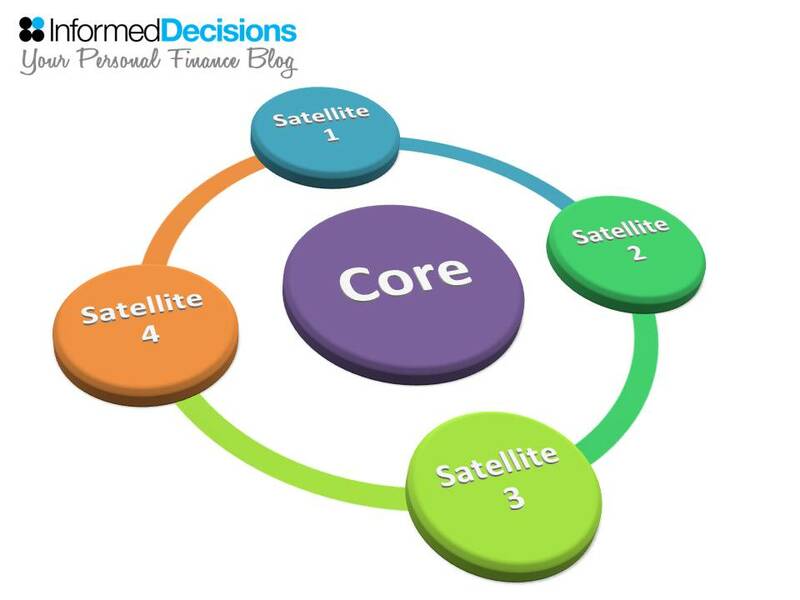 Core Satellite is a form of portfolio investing. If you are interested in a blend of Active and Passive this approach can make a lot of sense. If you are strongly biased toward either then it can also be a sensible approach to still keep an element of the one you less favour, as always it can add another level of diversification to the portfolio and offer growth/risk-management depending on the blend you opt for.